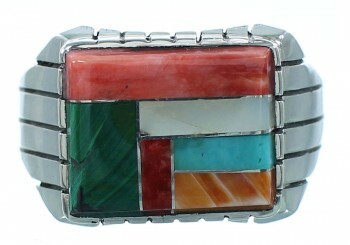 Sterling silver, real Turquoise, Malachite, Mother of Pearl, along with Orange and Red Oyster Shell. 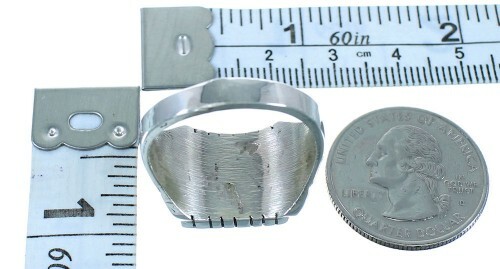 Ring is size 11-1/2, it measures approximately 5/8" long and 1" wide. 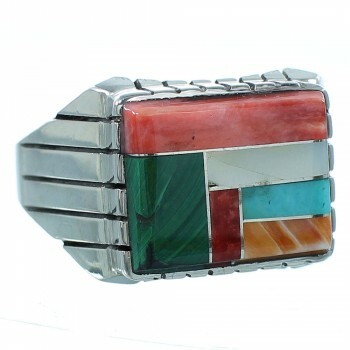 This ring is a Navajo classic! This piece of Native American jewelry is Navajo hand crafted by artist Ray Jack, out of genuine sterling silver and real multicolor inlay. 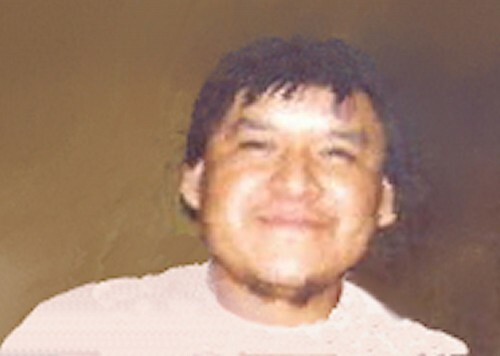 The inlay consists of: Turquoise, Malachite, Mother of Pearl, along with Orange and Red Oyster Shell. 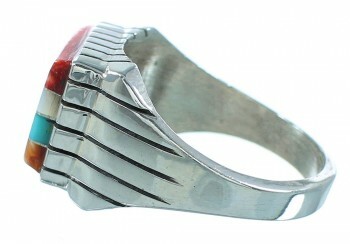 The inlay is carefully set, while thin silver lines and imprinted designs can be seen accenting for a lovely look.